I said it on Instagram and I’ll say it again: I love, LOVE, themed parties. We don’t have big blowout parties for every birthday, but every birthday party, even if it’s just our little immediate family, has a theme. I can’t help myself. Nintendo parties, the Pout Pout Fish, dragons, dinosaurs…you name it, I’ve done it. Even, EVEN, turkey vulture. Yes, I did a turkey vulture themed party once. 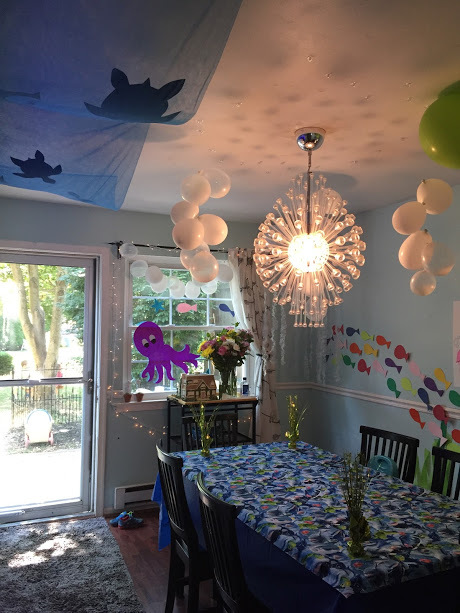 My daughter Meara is a huge fan of turtles and sharks, so when it came time for her third birthday, the obvious theme choice was under-the-sea. I had a lot of fun planning this one out. 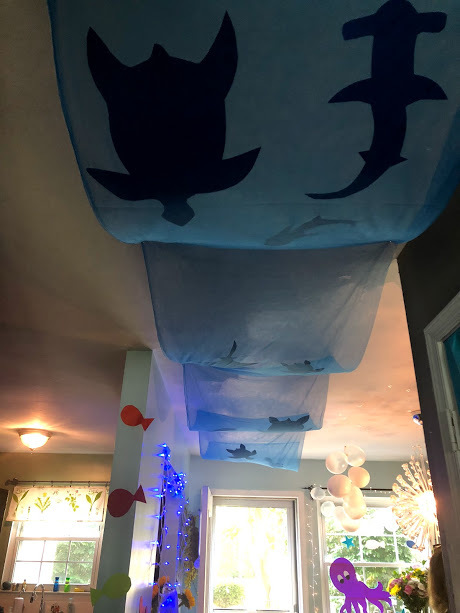 From the sea creature canopy to the sea of fish, the decorations were on point. And since I have a major sweet tooth, I definitely focus on desserts and made two types of cupcakes and a big ol’ funfetti birthday cake. I didn’t get photos of everything (hey! 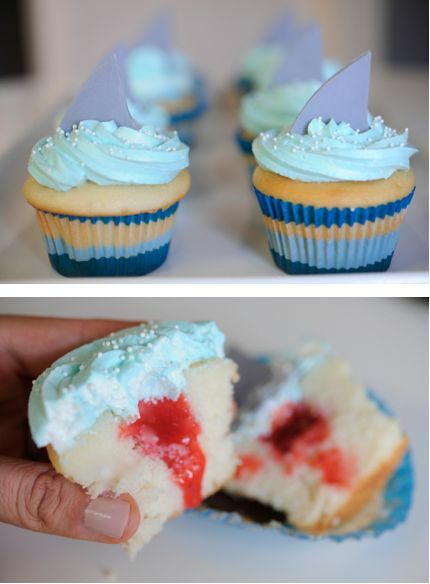 I was having fun), but I do have links to the recipes and ideas I used. And I think it’s safe to say that the birthday girl had a blast. I did a lot of paper cutouts. 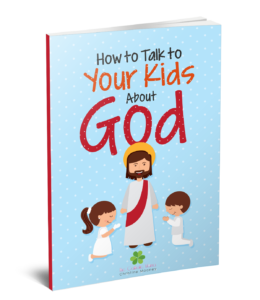 It’s easy and inexpensive. All hand drawn and cut. I bought a stack of multicolored cardstock for the fish. 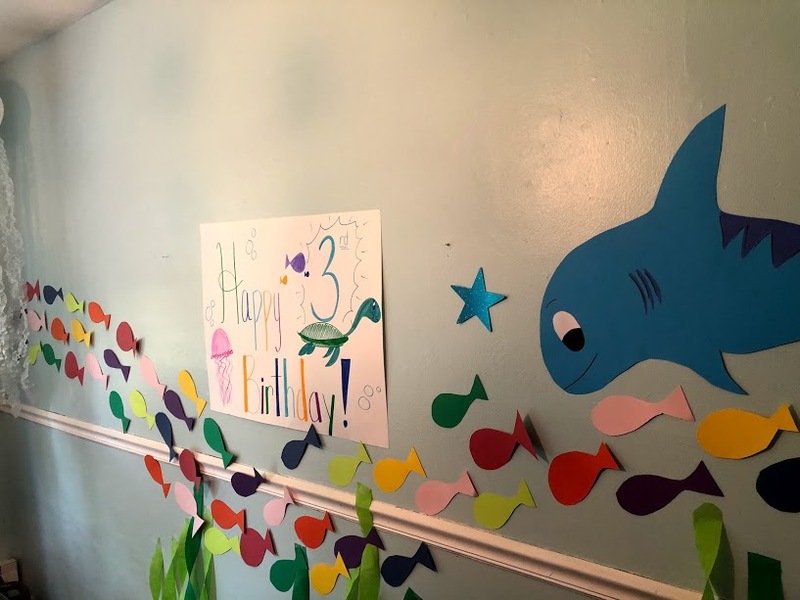 Our craft store had some cool poster board colors so the large shark and octopus cutouts were from a dual-sided piece of paper. I also cutout large sea turtles, fish, and sharks out of dark blue poster board for the ocean canopy on the ceiling. The canopy was made with 18 feet of blue tulle that we tacked to the ceiling and then placed the cutouts on top. 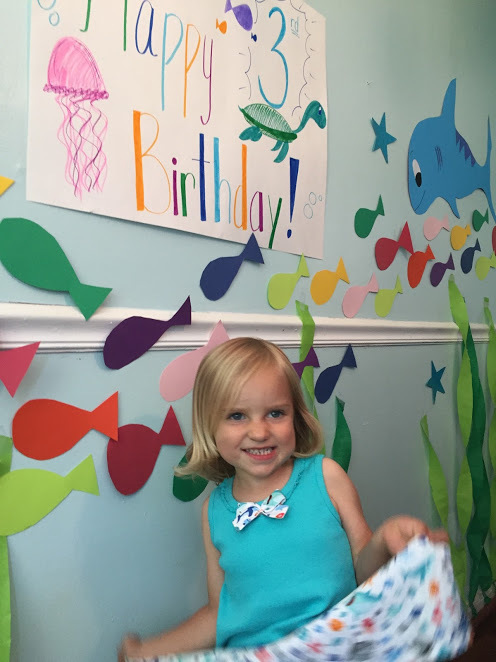 We also twisted dark and light green streamers to look like seaweed and taped them to the walls. 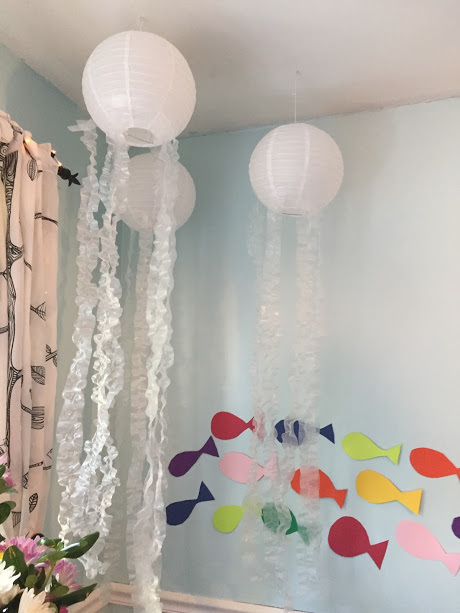 These jellyfish were very simple and the tutorial can be found here. Because the kids wanted to help make decorations, I taped a blue plastic tablecloth on my front door and then another door in the hallway and had them stick their creations on them. 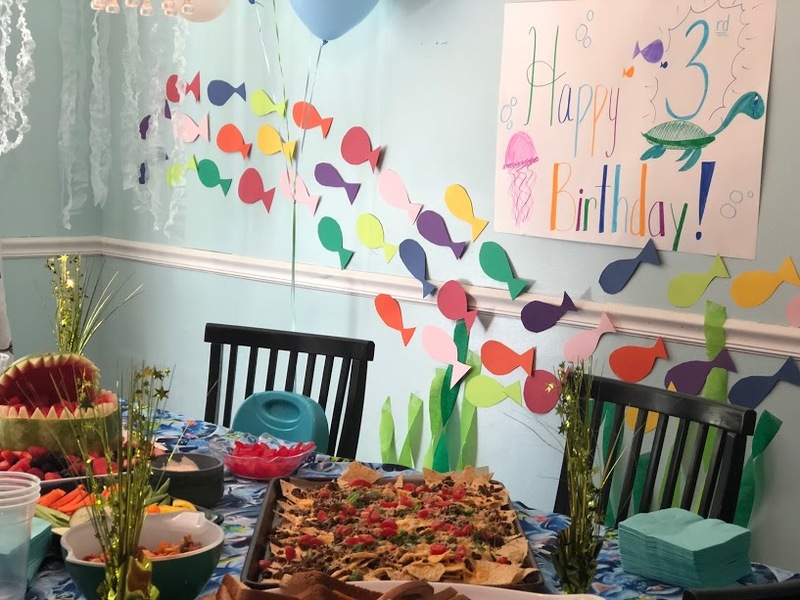 For the food, I kept quite a bit of it easy (like ham/turkey and cheese sandwiches for the kids, Goldfish crackers, and veggies and dip), but I did punch it up for a few items, including the watermelon shark and loaded nachos. Then dessert! 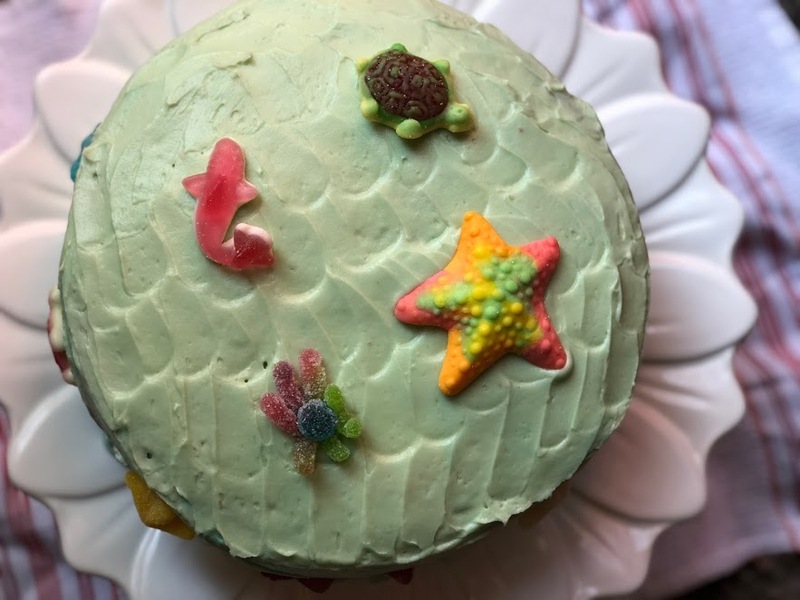 As I’m looking at these photos, I’m realizing I completely forgot to put the sea pebble sprinkles on this cake, but ah well! Can’t win ’em all. 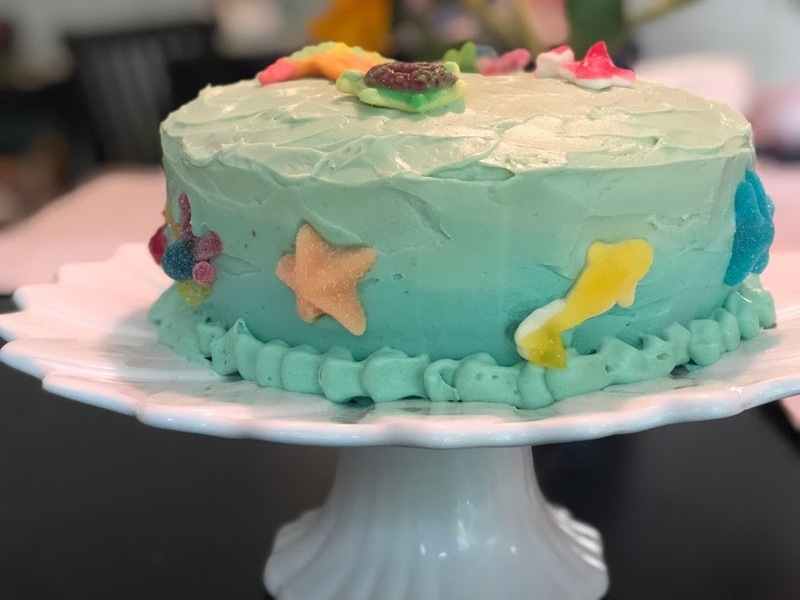 For the cake: I made this cake and doubled this frosting recipe (and wound up using ombre coloring for the frosting) and decorated with these gummy candies. I forgot to take photos of the cupcakes, but using Simple Mills gluten-free/paleo cake mixes (a box of vanilla cake mix and a box of chocolate cake mix), I made 24 cupcakes total. 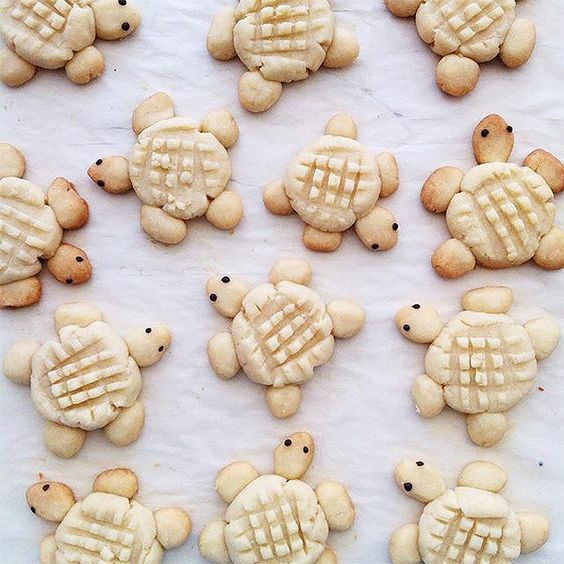 The vanilla ones, I made into these guys, adapted from here. When it comes to theme parties, let me tell ya – Pinterest is awesome and look for images from teachers’ classroom doors and walls. They have some wonderful ideas.